In this example we will develop a report using the refined filter option, which allows you to filter the Grid values at runtime. 2. 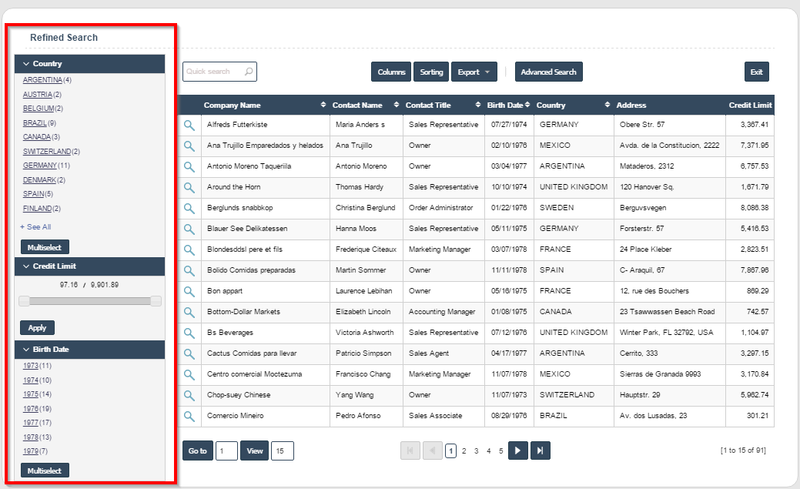 Select the fields CompanyName, ContactName, ContactTitle, BirthDate, Country, Address and CreditLimit, by using the Fields Positioning option located in the application menu. 4. 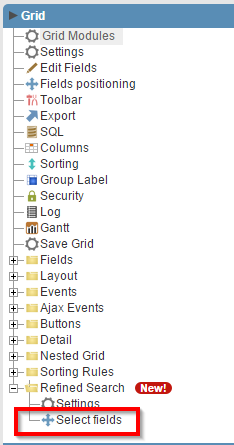 In the first tab (Select Fields), we will select the fields Country, CreditLimit and BirthDate. 5. 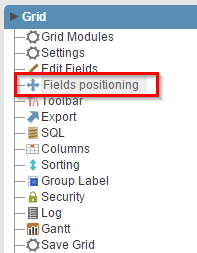 In the second tab (Edit Fields) will use the settings according to the image below.